This year I once again took the time for a longer vacation. Many years ago I had decided to do this every 3-4 years, however the last time was 6 years ago, South-Patagonia was over year-end 2010/2011. This time I went a few hundred kilometers further north to Patagonia. I worked till Friday and left on a Monday, so I had the weekend for packing and preparation. 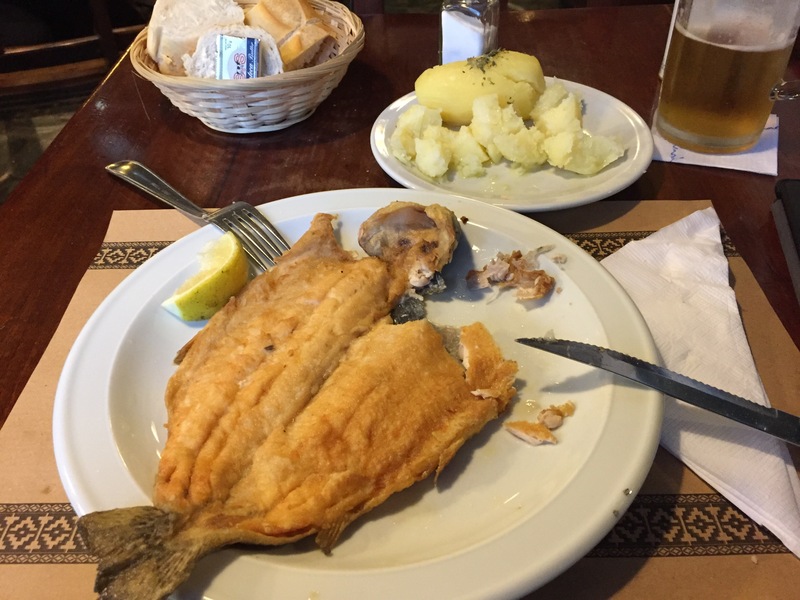 It was a late / night flight, so I arrived in Buenos Aires on Tuesday. I had one day buffer in BA with Sun and 32°C, quite contrast to cold weather in Germany. 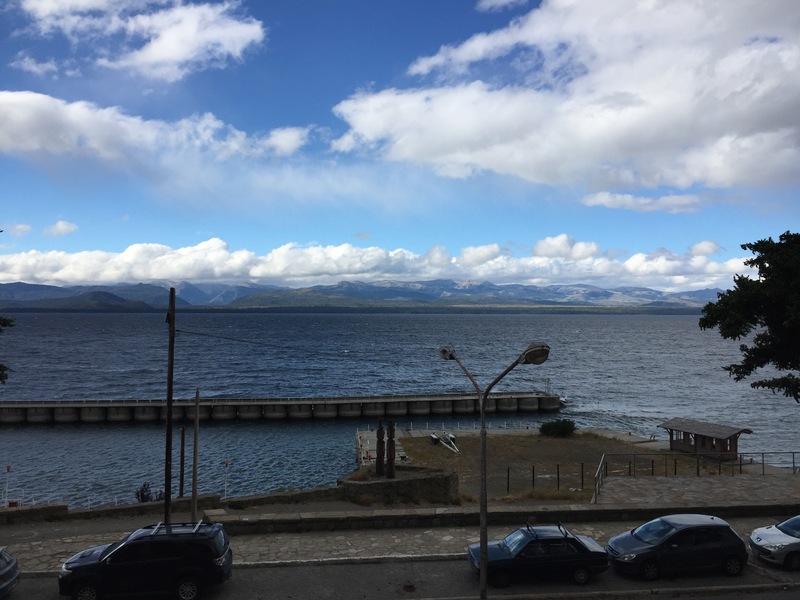 The continuation flight on Wednesday unfortunately had 2 hours delay, so I arrived only late afternoon in Bariloche. 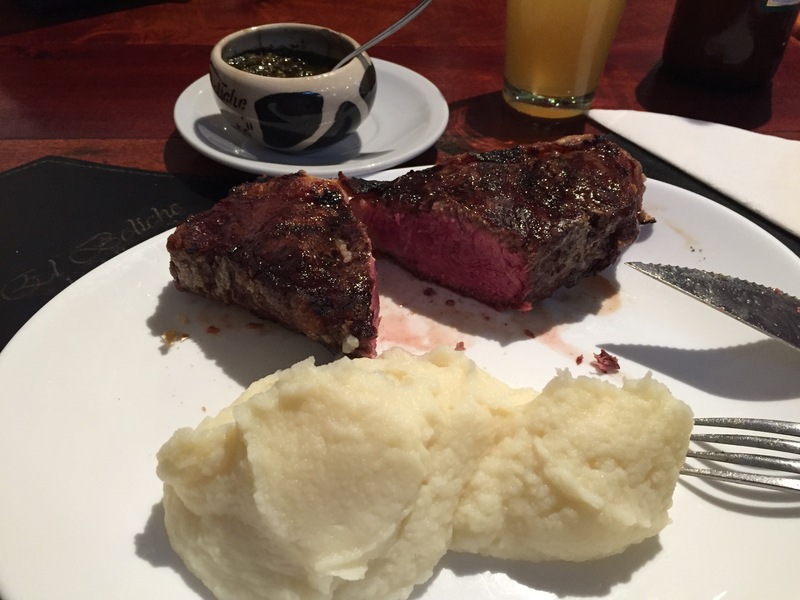 I got the rental car at the airport and had only little time to visit the nice and tourist oriented city center of the town… and then to enjoy my first real Argentinian steak! I’m not here for eating only, and I’m an early starter. So next morning I left for a first trip, in car this time. The quite known “Circuito Chico”, the small tour in car through some of the nice areas around here. If you leave early, there is almost no traffic (which in any case isn’t too heavy here outside town). The only thing is that the cable cars only start around 10am. The trip is only about 2 hours driving, unless you take a side tour via gravel road to Colonia Suiza, so there is lots of time to stop for sightseeing and taking pictures. The road via Colonia Suiza is gravel road… that was my first time. Not as bad as expected, but still you have to get used to it… and I have a couple hundred more kilometers coming, so a little practice doesn’t hurt. 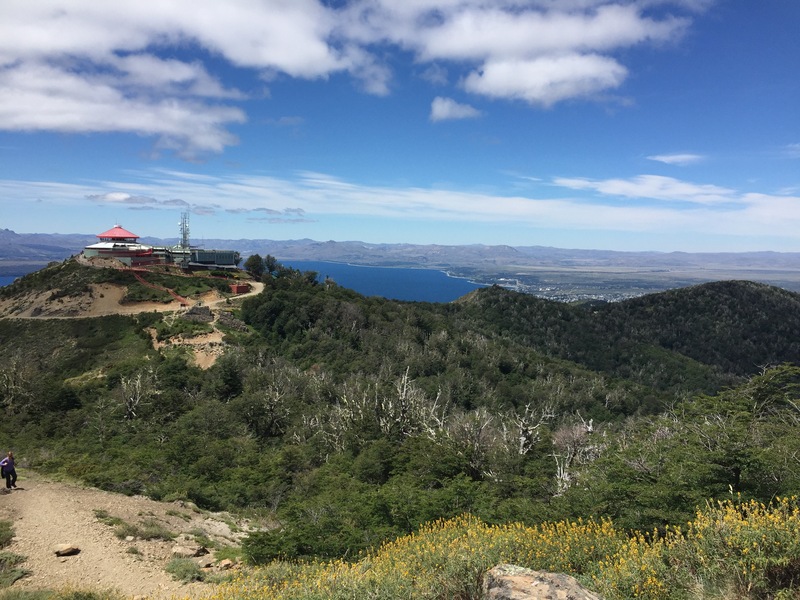 As I was too early to begin, I took the cable car up to Cerro Otto at the end, with a small hiking to the highest place outside the station, where there was a fantastic view without other people. 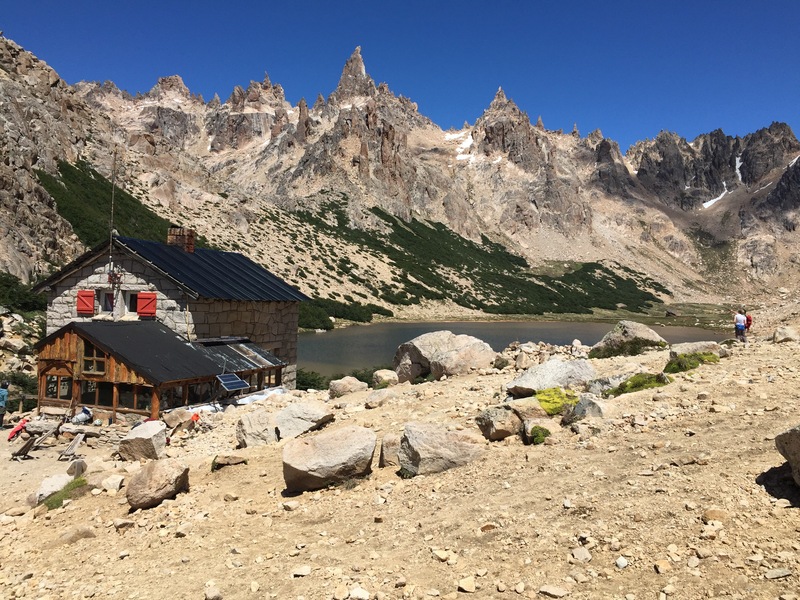 A slow, leisurely start, but I’m here for hiking… for the next day I planned a trip to Refugio Frey, on the simple route. The driving to Villa Catedral is pretty short, so I started hiking form there around 9am. This tour is technically easy, it is specified as T2 (but only a small part, rest is T1), but with 18-20km there and back it is quite long, and also has 800m of altitude. 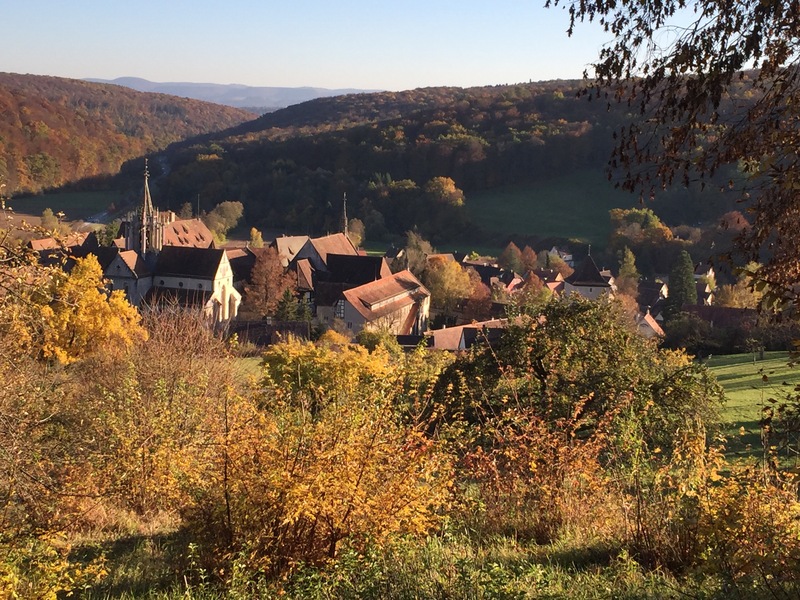 So quite some training … and really nice landscape to enjoy. I had feared muscle ache, but didn’t get any… so on the next day I took directly the next tour, to Refugio Lopez. The tour is shorter, the one-way 4-5km, so ~10km in total, but it is all the time very steep, it has also about 800m altitude. I think it’s a bit more difficult then Refugio Frey, but it is also marked as T2 on the map, probably right. But it’s quite difficult to hike almost all the time on steep rocky/gravel passages, so you need to concentrate, that’s why it may appear more difficult. Ah yes, by the way… T1-T5(T6) marked on the OSM, are the official classifications of the YDS scale. This evening was Christmas Eve, so I had trout, just like I normally have at home . The next day is Christmas, and after two days hiking, time to do “nothing” and relax. Well, nothing is really difficult for me, so I did some research and planning for “what’s next”. I wanted to check out the trail “Refugio Frey por el filo”, which is the trail via the ridge of Cerro Catedral to the Refugio Frey. Well, everything is relative, some people wrote it’s really nice and well marked etc., others write that is it T5 and really difficult. And on OpenStreetMap it is also marked as T5, so that means without practice in that kind of terrain, I should not do it. Therefor plan: take the cable car up to Cerro Catedral and check out the view and take some pictures. Can visit the ridge and check out how that looks like. There is one more day in Bariloche, so I have time. OK, planned, done. Went again to Villa Catedral, bought the ticket for the cable car, nice trip up, first in a gondola then the last part a chairlift to “Diente de Caballo”. Well, this is a skiing area. So although the view is nice, the terrain is all being prepared for winter season, i.e. many machines and not a very natural area. The view to the lake and the mountains on the other side is nice, but nothing to stay long. So I hiked further up to the ridge to take pictures. there were a few other hikers just before me, obviously on their way to take the hiking trip along the ridge. So I followed them. Reaching the ridge there is a splendid view to Monte Tronador, the highest mountain the range near by. Now I can see a part of that path along the ridge, quite impressive and a little frightening also. I don’t have alpine experience, so I decided to just go along the first few hundred meters across a gravel slope, I can go back any time. After the gravel slope, there are only rocks, no path anymore. Well, I can only try and see how it goes. Can turn back any time. I do have hiking experience and I’m pretty sure-footed also. So I try a little further and take it slowly, checking out very thoroughly the rocks to be sure they are stable. Also need to check if the path can be found. As said, there is no path anymore, just rocks. So they marked rocks with a red dot every few meters, so you can find the safe route. Well, long talking… now that I’m here, why turn back with this fantastic landscape . Although the path doesn’t gain much altitude, the climbing over the rocks is very strenuous, basically you gain and lose altitude every meter. 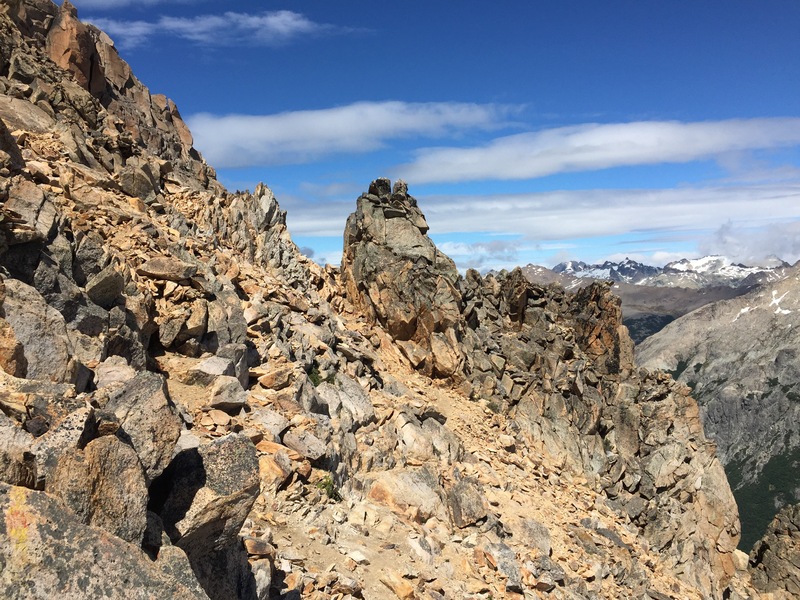 The distance from the start of the ridge at Diente de Caballo until Laguna Toncak has around 6-7km, but that takes 3-4 hours, as per guide information in Bariloche. I wasn’t actually slow, it took me a little over 3 hours. I didn’t need gloves, although this is sometimes recommended, as you have to use hands very often to secure the climbing up and down over sometimes quite high rocks. I saw a few people using hiking sticks… I think in this difficult terrain they wouldn’t help much, but that might be matter of taste, I didn’t have any with me anyway. I must say, I’m quite proud that I made it! My biking season starts on October 1st and lasts until September 30th, hence today’s Friday is the last day of the season, this coming weekend is part of the new season 2017. The winter-season started pretty well. Saturdays and Sundays we did regularly tours on the mountain bike in the Schönbuch. In January I got my new All-Road bike, a Ridley XTrail, which is quite fun to ride. With this I got to do quite a number of kilometers and conserve some of the good summer form. A few weekends with bad weather I used my Tacx Trainer or went to the cycle-track in Öschelbronn. This formed a good base for the training camp on Mallorca. Unfortunately I got a cold shortly before travelling to Mallorca, but recovered in time. Mallorca was great, we did a lot long tours with low to medium speed in order to train the base endurance. Returning from Mallorca, the Spring time was going very well. In July I went to the Allgäu (Nesselwang) for a long week and did another 1000km there… From that point onwards it looked like I could do a record season. several more compared to last years. We’ve all heard that the full armour of knights was not practical. Probably more used for status, as they were too heavy and that they could hardly move. Right? From Friday 24.6. until Sunday 3.7. I took a long week vacation in Nesselwang, Allgäu, or to be more specific, a short training camp. The weather was OK, especially compared to the weeks of rain we had recently. Out of 10 days it rained on 2 and I could do 8 nice tours on my road bike. Apart from my usual smaller tours, I was able to try out a few new routes. One was on totally deserted side-roads (mostly closed for traffic, but well paved) from Forggensee to a very nice church, the “Wies-Kirche”, to Oberammergau … a really nice route with no cars, only farms and cows. After a few years, I again took up the challenge over the Riedbergpass and returning via a parallel valley where a nice paved track (closed for car traffic) exists that I didn’t know yet. This one was the top-tour of the week. 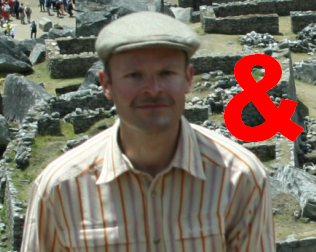 The first few days I was alone, Peter joined Wednesday, after he had participated in the Alb-Extrem on Sunday. So we did the second half of the week together. On Monday I returned home and Peter did another long tour, over the Hahntennjoch and Arlberg. The most interesting routes I have put up on GPSies in the Allgäu Folder. Always very nice is the Namlos-Tour, and of course the new Tour Wieskirch-Oberammergau and the route over the Riedbergpass (to Balderschwang and back via Oberstdorf) with its steep climbs of ~16-18% and ~600m altitude on ~6km. (The altitude of the tracks on GPSies is usually about 20% too high, in comparison to my barometric speedometer). 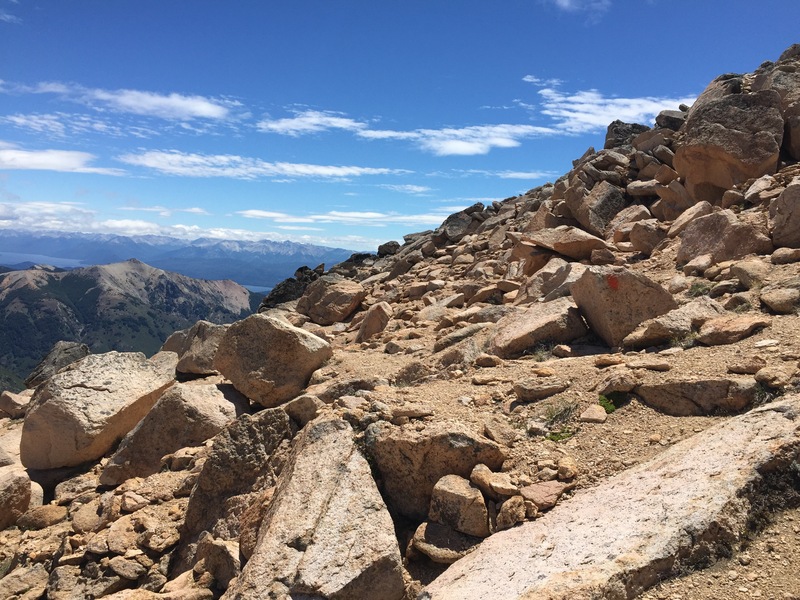 The last three years, I always offered a Mountainous Training before a Marathon event. As next week there is “Alb-Extrem” (where I won’t start this year), today was the day again. Moritz, Peter, Wolfgang and my tininess earned our points. Today a repost of an article that appeared here 2 years ago. The reason is that the German registry of stem cell donators turns 25 years. May 28th is the international day against blood cancer. For a lot of years I am registered as potential donor of stem cells at the DKMS Germany (DKMS UK / DKMS US). Patients with Leukemia urgently need a stem cell donation to live. Their stem cells have to be killed/removed to cure the cancer and then have to be replaced with new ones from a donator. Years ago, the donation was a difficult process, but this is no longer true. Today the stem cell donation is a relatively simple process and not dangerous at all. More information can be found on the DKMS pages. For a donation, the donator has to match strict criteria compared to the patient. The likelihood for a match is in the range of hitting the jackpot in a lottery. Therefore it is important that as many people as possible register as donators! On 28.5. is international day against blood cancer.